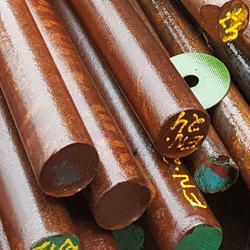 Providing you the best range of 1.0433, h260bd steel round bar, rods & bars, 1.0449, gs200 steel round bar, rods & bars, 1.0459, l245ga steel round bar, rods & bars, 1.0447, hc300i steel round bar, rods & bars, 1.0418, l245mb steel round bar, rods & bars and 1.0425, p265gh steel round bar, rods & bars with effective & timely delivery. Certification Of Conformity (COC) NACE MR0175 Certificate can be provided with an extra cost of testing & sample charges. Jayant Impex Pvt Ltd, India, Maharashtra, Khopoli, Mumbai are leading 1.0433, H260BD Bars & Rods - Flat, Square, Ring, Hollow, Hex , alloy steel bars, carbon steel, alloy steel supplier, exporter, trader, wholesaler, stockiest, retailer, dealer, distributor, stock holder. 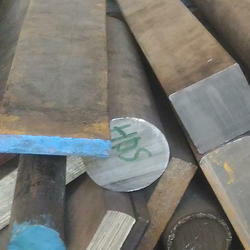 Client can procure smaller quantities of 1.0433, H260BD Bars & Rods - Flat, Square, Ring, Hollow, Hex online ready stock at premium price from us to any destination by just sending us an email. If any requirements for 1.0433, H260BD Bars & Rods - Flat, Square, Ring, Hollow, Hex kindly do contact us. Jayant Impex Pvt Ltd, India, Maharashtra, Khopoli, Mumbai are leading 1.0449, GS200 Bars & Rods - Flat, Square, Ring, Hollow, Hex , alloy steel bars, carbon steel, alloy steel supplier, exporter, trader, wholesaler, stockiest, retailer, dealer, distributor, stock holder. Client can procure smaller quantities of 1.0449, GS200 Bars & Rods - Flat, Square, Ring, Hollow, Hex online ready stock at premium price from us to any destination by just sending us an email. 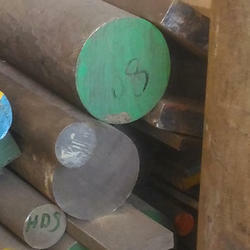 If any requirements for 1.0449, GS200 Bars & Rods - Flat, Square, Ring, Hollow, Hex kindly do contact us. Jayant Impex Pvt Ltd, India, Maharashtra, Khopoli, Mumbai are leading 1.0459, L245GA Bars & Rods - Flat, Square, Ring, Hollow, Hex , alloy steel bars, carbon steel, alloy steel supplier, exporter, trader, wholesaler, stockiest, retailer, dealer, distributor, stock holder. 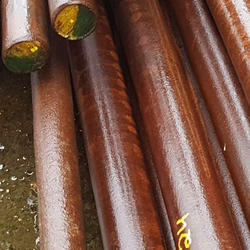 Client can procure smaller quantities of 1.0459, L245GA Bars & Rods - Flat, Square, Ring, Hollow, Hex online ready stock at premium price from us to any destination by just sending us an email. If any requirements for 1.0459, L245GA Bars & Rods - Flat, Square, Ring, Hollow, Hex kindly do contact us. Jayant Impex Pvt Ltd, India, Maharashtra, Khopoli, Mumbai are leading 1.0447, HC300I Bars & Rods - Flat, Square, Ring, Hollow, Hex , alloy steel bars, carbon steel, alloy steel supplier, exporter, trader, wholesaler, stockiest, retailer, dealer, distributor, stock holder. Client can procure smaller quantities of 1.0447, HC300I Bars & Rods - Flat, Square, Ring, Hollow, Hex online ready stock at premium price from us to any destination by just sending us an email. 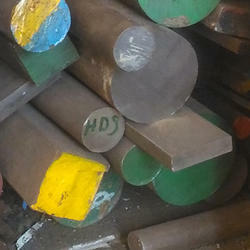 If any requirements for 1.0447, HC300I Bars & Rods - Flat, Square, Ring, Hollow, Hex kindly do contact us. Jayant Impex Pvt Ltd, India, Maharashtra, Khopoli, Mumbai are leading 1.0418, L245MB Bars & Rods - Flat, Square, Ring, Hollow, Hex , alloy steel bars, carbon steel, alloy steel supplier, exporter, trader, wholesaler, stockiest, retailer, dealer, distributor, stock holder. Client can procure smaller quantities of 1.0418, L245MB Bars & Rods - Flat, Square, Ring, Hollow, Hex online ready stock at premium price from us to any destination by just sending us an email. 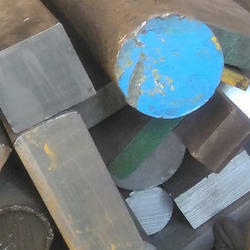 If any requirements for 1.0418, L245MB Bars & Rods - Flat, Square, Ring, Hollow, Hex kindly do contact us. Jayant Impex Pvt Ltd, India, Maharashtra, Khopoli, Mumbai are leading 1.0425, P265GH Bars & Rods - Flat, Square, Ring, Hollow, Hex , alloy steel bars, carbon steel, alloy steel supplier, exporter, trader, wholesaler, stockiest, retailer, dealer, distributor, stock holder. Client can procure smaller quantities of 1.0425, P265GH Bars & Rods - Flat, Square, Ring, Hollow, Hex online ready stock at premium price from us to any destination by just sending us an email. 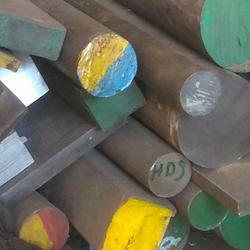 If any requirements for 1.0425, P265GH Bars & Rods - Flat, Square, Ring, Hollow, Hex kindly do contact us. Jayant Impex Pvt Ltd, India, Maharashtra, Khopoli, Mumbai are leading 1.0407, C16 Bars & Rods - Flat, Square, Ring, Hollow, Hex , alloy steel bars, carbon steel, alloy steel supplier, exporter, trader, wholesaler, stockiest, retailer, dealer, distributor, stock holder. Client can procure smaller quantities of 1.0407, C16 Bars & Rods - Flat, Square, Ring, Hollow, Hex online ready stock at premium price from us to any destination by just sending us an email. If any requirements for 1.0407, C16 Bars & Rods - Flat, Square, Ring, Hollow, Hex kindly do contact us. Jayant Impex can offer Werkstoff 1.0400, HC260B Bars & Rods, 1.0400 Flat Bars, 1.0400 Square Bars, 1.0400 Rings, 1.0400 Hollow Bars, 1.0400 Hexagonal Bars, 1.0400 non-alloy steel bars, 1.0400 carbon steel, 1.0400 non-alloy steel, HC260B bars, HC260B Square bars. 1.0400, HC260B are non-alloy steel with standard of EN 10268: 2006 Cold rolled steel flat products with high yield strength for cold forming. Client can procure smaller quantities of 1.0400, HC260B Bars & Rods - Flat, Square, Ring, Hollow, Hex online ready stock at premium price from us to any destination by just sending us an email. 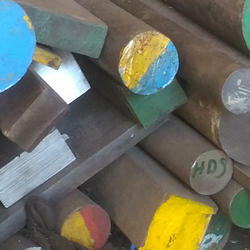 If any requirements for 1.0400, HC260B Bars & Rods - Flat, Square, Ring, Hollow, Hex kindly do contact us. Jayant Impex Pvt Ltd, India, Maharashtra, Khopoli, Mumbai are leading 1.0402, C22 Bars & Rods - Flat, Square, Ring, Hollow, Hex , alloy steel bars, carbon steel, alloy steel supplier, exporter, trader, wholesaler, stockiest, retailer, dealer, distributor, stock holder. Client can procure smaller quantities of 1.0402, C22 Bars & Rods - Flat, Square, Ring, Hollow, Hex online ready stock at premium price from us to any destination by just sending us an email. 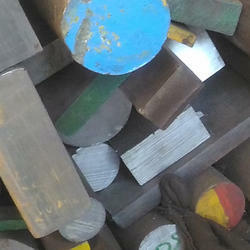 If any requirements for 1.0402, C22 Bars & Rods - Flat, Square, Ring, Hollow, Hex kindly do contact us. Jayant Impex Pvt Ltd, India, Maharashtra, Khopoli, Mumbai are leading 1.0411, C20C Bars & Rods - Flat, Square, Ring, Hollow, Hex , alloy steel bars, carbon steel, alloy steel supplier, exporter, trader, wholesaler, stockiest, retailer, dealer, distributor, stock holder. Client can procure smaller quantities of 1.0411, C20C Bars & Rods - Flat, Square, Ring, Hollow, Hex online ready stock at premium price from us to any destination by just sending us an email. 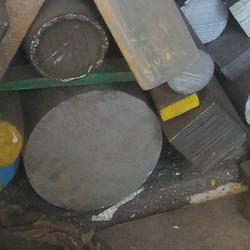 If any requirements for 1.0411, C20C Bars & Rods - Flat, Square, Ring, Hollow, Hex kindly do contact us. Jayant Impex Pvt Ltd, India, Maharashtra, Khopoli, Mumbai are leading 1.0414, C20D Bars & Rods - Flat, Square, Ring, Hollow, Hex , alloy steel bars, carbon steel, alloy steel supplier, exporter, trader, wholesaler, stockiest, retailer, dealer, distributor, stock holder. Client can procure smaller quantities of 1.0414, C20D Bars & Rods - Flat, Square, Ring, Hollow, Hex online ready stock at premium price from us to any destination by just sending us an email. If any requirements for 1.0414, C20D Bars & Rods - Flat, Square, Ring, Hollow, Hex kindly do contact us. Jayant Impex Pvt Ltd, India, Maharashtra, Khopoli, Mumbai are leading 1.0416, C18D Bars & Rods - Flat, Square, Ring, Hollow, Hex , alloy steel bars, carbon steel, alloy steel supplier, exporter, trader, wholesaler, stockiest, retailer, dealer, distributor, stock holder. 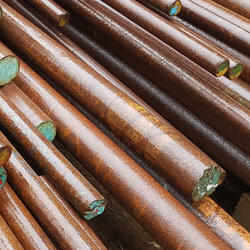 Client can procure smaller quantities of 1.0416, C18D Bars & Rods - Flat, Square, Ring, Hollow, Hex online ready stock at premium price from us to any destination by just sending us an email. 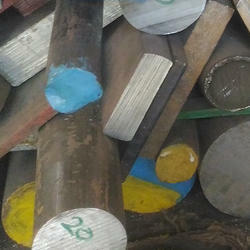 If any requirements for 1.0416, C18D Bars & Rods - Flat, Square, Ring, Hollow, Hex kindly do contact us. Jayant Impex Pvt Ltd, India, Maharashtra, Khopoli, Mumbai are leading 1.0429, L290MB Bars & Rods - Flat, Square, Ring, Hollow, Hex , alloy steel bars, carbon steel, alloy steel supplier, exporter, trader, wholesaler, stockiest, retailer, dealer, distributor, stock holder. Client can procure smaller quantities of 1.0429, L290MB Bars & Rods - Flat, Square, Ring, Hollow, Hex online ready stock at premium price from us to any destination by just sending us an email. If any requirements for 1.0429, L290MB Bars & Rods - Flat, Square, Ring, Hollow, Hex kindly do contact us. Jayant Impex Pvt Ltd, India, Maharashtra, Khopoli, Mumbai are leading 1.0436, P305GH Bars & Rods - Flat, Square, Ring, Hollow, Hex , alloy steel bars, carbon steel, alloy steel supplier, exporter, trader, wholesaler, stockiest, retailer, dealer, distributor, stock holder. Client can procure smaller quantities of 1.0436, P305GH Bars & Rods - Flat, Square, Ring, Hollow, Hex online ready stock at premium price from us to any destination by just sending us an email. 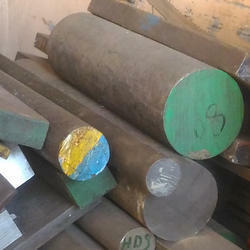 If any requirements for 1.0436, P305GH Bars & Rods - Flat, Square, Ring, Hollow, Hex kindly do contact us. Jayant Impex Pvt Ltd, India, Maharashtra, Khopoli, Mumbai are leading 1.0445, H300BD Bars & Rods - Flat, Square, Ring, Hollow, Hex , alloy steel bars, carbon steel, alloy steel supplier, exporter, trader, wholesaler, stockiest, retailer, dealer, distributor, stock holder. Client can procure smaller quantities of 1.0445, H300BD Bars & Rods - Flat, Square, Ring, Hollow, Hex online ready stock at premium price from us to any destination by just sending us an email. 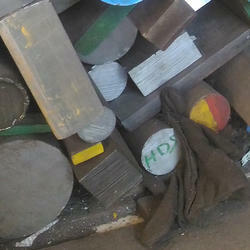 If any requirements for 1.0445, H300BD Bars & Rods - Flat, Square, Ring, Hollow, Hex kindly do contact us. Jayant Impex Pvt Ltd, India, Maharashtra, Khopoli, Mumbai are leading 1.0452, P255QL Bars & Rods - Flat, Square, Ring, Hollow, Hex , alloy steel bars, carbon steel, alloy steel supplier, exporter, trader, wholesaler, stockiest, retailer, dealer, distributor, stock holder. Client can procure smaller quantities of 1.0452, P255QL Bars & Rods - Flat, Square, Ring, Hollow, Hex online ready stock at premium price from us to any destination by just sending us an email. If any requirements for 1.0452, P255QL Bars & Rods - Flat, Square, Ring, Hollow, Hex kindly do contact us. Jayant Impex Pvt Ltd, India, Maharashtra, Khopoli, Mumbai are leading 1.0455, GS240 Bars & Rods - Flat, Square, Ring, Hollow, Hex , alloy steel bars, carbon steel, alloy steel supplier, exporter, trader, wholesaler, stockiest, retailer, dealer, distributor, stock holder. Client can procure smaller quantities of 1.0455, GS240 Bars & Rods - Flat, Square, Ring, Hollow, Hex online ready stock at premium price from us to any destination by just sending us an email. If any requirements for 1.0455, GS240 Bars & Rods - Flat, Square, Ring, Hollow, Hex kindly do contact us. Jayant Impex Pvt Ltd, India, Maharashtra, Khopoli, Mumbai are leading 1.0457, L245NB Bars & Rods - Flat, Square, Ring, Hollow, Hex , alloy steel bars, carbon steel, alloy steel supplier, exporter, trader, wholesaler, stockiest, retailer, dealer, distributor, stock holder. 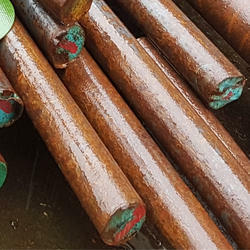 Client can procure smaller quantities of 1.0457, L245NB Bars & Rods - Flat, Square, Ring, Hollow, Hex online ready stock at premium price from us to any destination by just sending us an email. 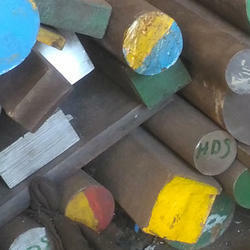 If any requirements for 1.0457, L245NB Bars & Rods - Flat, Square, Ring, Hollow, Hex kindly do contact us. Jayant Impex Pvt Ltd, India, Maharashtra, Khopoli, Mumbai are leading 1.0471 / 20MnNb6 Bars & Rods - Flat, Square, Ring, Hollow, Hex , alloy steel bars, carbon steel, alloy steel supplier, exporter, trader, wholesaler, stockiest, retailer, dealer, distributor, stock holder. Client can procure smaller quantities of 1.0471 / 20MnNb6 Bars & Rods - Flat, Square, Ring, Hollow, Hex online ready stock at premium price from us to any destination by just sending us an email. If any requirements for 1.0471 / 20MnNb6 Bars & Rods - Flat, Square, Ring, Hollow, Hex kindly do contact us. Jayant Impex Pvt Ltd, India, Maharashtra, Khopoli, Mumbai are leading 1.0443, H300PD Bars & Rods - Flat, Square, Ring, Hollow, Hex , alloy steel bars, carbon steel, alloy steel supplier, exporter, trader, wholesaler, stockiest, retailer, dealer, distributor, stock holder. Client can procure smaller quantities of 1.0443, H300PD Bars & Rods - Flat, Square, Ring, Hollow, Hex online ready stock at premium price from us to any destination by just sending us an email. If any requirements for 1.0443, H300PD Bars & Rods - Flat, Square, Ring, Hollow, Hex kindly do contact us. Jayant Impex Pvt Ltd, India, Maharashtra, Khopoli, Mumbai are leading 1.0571 / P355QH1 Bars & Rods - Flat, Square, Ring, Hollow, Hex , alloy steel bars, carbon steel, alloy steel supplier, exporter, trader, wholesaler, stockiest, retailer, dealer, distributor, stock holder. Client can procure smaller quantities of 1.0571 / P355QH1 Bars & Rods - Flat, Square, Ring, Hollow, Hex online ready stock at premium price from us to any destination by just sending us an email. If any requirements for 1.0571 / P355QH1 Bars & Rods - Flat, Square, Ring, Hollow, Hex kindly do contact us. Jayant Impex Pvt Ltd, India, Maharashtra, Khopoli, Mumbai are leading 1.0576 / S355J2H Bars & Rods - Flat, Square, Ring, Hollow, Hex , alloy steel bars, carbon steel, alloy steel supplier, exporter, trader, wholesaler, stockiest, retailer, dealer, distributor, stock holder. 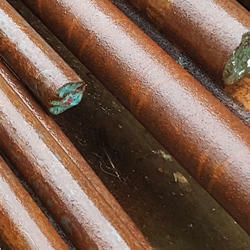 Client can procure smaller quantities of 1.0576 / S355J2H Bars & Rods - Flat, Square, Ring, Hollow, Hex online ready stock at premium price from us to any destination by just sending us an email. 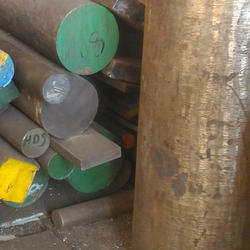 If any requirements for 1.0576 / S355J2H Bars & Rods - Flat, Square, Ring, Hollow, Hex kindly do contact us. Jayant Impex Pvt Ltd, India, Maharashtra, Khopoli, Mumbai are leading 1.0578 / L360MB Bars & Rods - Flat, Square, Ring, Hollow, Hex , alloy steel bars, carbon steel, alloy steel supplier, exporter, trader, wholesaler, stockiest, retailer, dealer, distributor, stock holder. 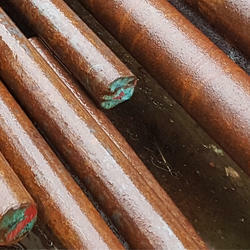 Client can procure smaller quantities of 1.0578 / L360MB Bars & Rods - Flat, Square, Ring, Hollow, Hex online ready stock at premium price from us to any destination by just sending us an email. 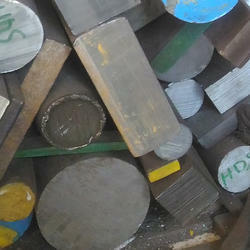 If any requirements for 1.0578 / L360MB Bars & Rods - Flat, Square, Ring, Hollow, Hex kindly do contact us. Jayant Impex Pvt Ltd, India, Maharashtra, Khopoli, Mumbai are leading 1.0580 / E355 Bars & Rods - Flat, Square, Ring, Hollow, Hex , alloy steel bars, carbon steel, alloy steel supplier, exporter, trader, wholesaler, stockiest, retailer, dealer, distributor, stock holder. Client can procure smaller quantities of 1.0580 / E355 Bars & Rods - Flat, Square, Ring, Hollow, Hex online ready stock at premium price from us to any destination by just sending us an email. 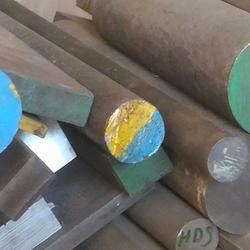 If any requirements for 1.0580 / E355 Bars & Rods - Flat, Square, Ring, Hollow, Hex kindly do contact us. Jayant Impex Pvt Ltd, India, Maharashtra, Khopoli, Mumbai are leading 1.0586 / C50D Bars & Rods - Flat, Square, Ring, Hollow, Hex , alloy steel bars, carbon steel, alloy steel supplier, exporter, trader, wholesaler, stockiest, retailer, dealer, distributor, stock holder. Client can procure smaller quantities of 1.0586 / C50D Bars & Rods - Flat, Square, Ring, Hollow, Hex online ready stock at premium price from us to any destination by just sending us an email. 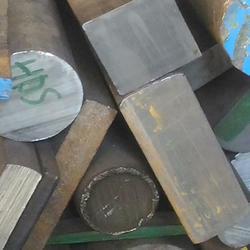 If any requirements for 1.0586 / C50D Bars & Rods - Flat, Square, Ring, Hollow, Hex kindly do contact us. 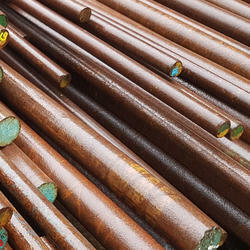 Jayant Impex Pvt Ltd, India, Maharashtra, Khopoli, Mumbai are leading 1.0590 / S450J0 Bars & Rods - Flat, Square, Ring, Hollow, Hex , alloy steel bars, carbon steel, alloy steel supplier, exporter, trader, wholesaler, stockiest, retailer, dealer, distributor, stock holder. 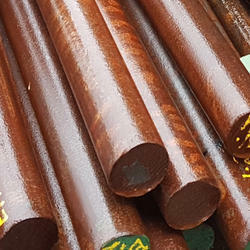 Client can procure smaller quantities of 1.0590 / S450J0 Bars & Rods - Flat, Square, Ring, Hollow, Hex online ready stock at premium price from us to any destination by just sending us an email. 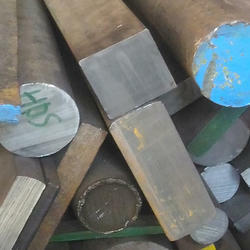 If any requirements for 1.0590 / S450J0 Bars & Rods - Flat, Square, Ring, Hollow, Hex kindly do contact us. 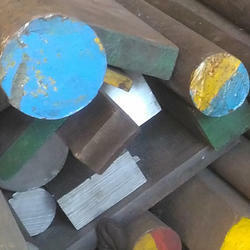 Jayant Impex Pvt Ltd, India, Maharashtra, Khopoli, Mumbai are leading 1.0595 / S355K2(+N) Bars & Rods - Flat, Square, Ring, Hollow, Hex , alloy steel bars, carbon steel, alloy steel supplier, exporter, trader, wholesaler, stockiest, retailer, dealer, distributor, stock holder. Client can procure smaller quantities of 1.0595 / S355K2(+N) Bars & Rods - Flat, Square, Ring, Hollow, Hex online ready stock at premium price from us to any destination by just sending us an email. 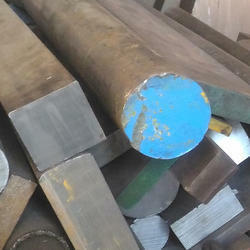 If any requirements for 1.0595 / S355K2(+N) Bars & Rods - Flat, Square, Ring, Hollow, Hex kindly do contact us. Jayant Impex Pvt Ltd, India, Maharashtra, Khopoli, Mumbai are leading 1.0599 / E420J2 Bars & Rods - Flat, Square, Ring, Hollow, Hex , alloy steel bars, carbon steel, alloy steel supplier, exporter, trader, wholesaler, stockiest, retailer, dealer, distributor, stock holder. Client can procure smaller quantities of 1.0599 / E420J2 Bars & Rods - Flat, Square, Ring, Hollow, Hex online ready stock at premium price from us to any destination by just sending us an email. If any requirements for 1.0599 / E420J2 Bars & Rods - Flat, Square, Ring, Hollow, Hex kindly do contact us. 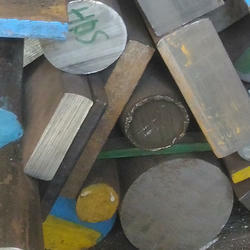 Looking for Low, Medium Carbon Steel ?